Main South and Columbus Park neighborhoods. Our program at St. Peter’s Church on Main Street pairs children ages 6—12 in one-to-one relationships with college student mentors. Mentors are volunteers who form caring relationships with the children and help with social skills, reading, homework, arts and crafts, games, and much more. Since 1996 our Mentoring Program has helped children and mentors learn and grow, together. Mentoring sessions are Wednesday and Thursday, 2:30—4:45 p.m.
We offer classes at St. Peter’s Church at 929 Main Street, in fall and spring, Tuesday and Thursday mornings, 10:00 — 12:00. We offer up to three levels, from Basic to Advanced. 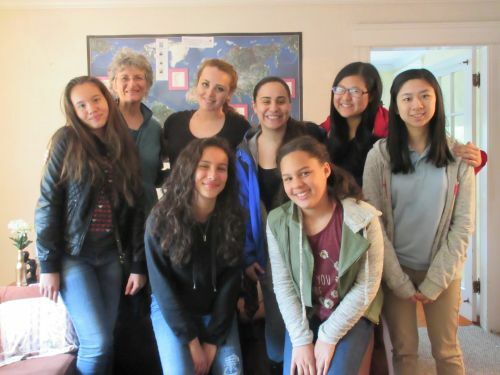 Our teachers are volunteers — retired teachers, Sisters, AMAs, and college students. We charge a minimal fee to cover the cost of the book used in class. Building community among different cultures, languages, faiths and ages, however, is FREE. Come learn with us! Our small group program for girls ages 11—14 invites them to share time, work on fun projects, learn about healthy choices, and explore their interests together. The goal is to be themselves in the supportive, homey context of the Center. Our staff and volunteers lead the group weekly at Assumption on Tuesday afternoons from 3:00—5:00 p.m.
We gather once a week on Fridays from 10:00—11:30 a.m. Keeping with the motto, “From warm hearts to warm hands!,” members knit and crochet hats, mittens, baby items and other goods for the Assumption community in Chaparral, NM, St. Peter’s Church, and other organizations serving the disadvantaged. The Knitting Circle is open to any person interested in knitting or crocheting, whether a beginner or a pro. Donations of yarn, needles and patterns are much appreciated. 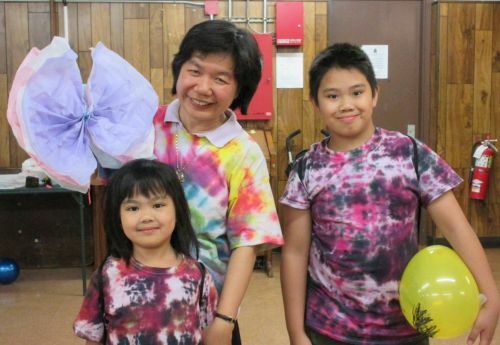 Assumption Sister Nha Trang visits the Center each year in June to organize and animate the Vietnamese Club. Children aged 6—10 are invited to come together to celebrate and share their Vietnamese culture and language through games, songs, poetry, and stories. Normally the club meets for two weeks in June. Our garden, Semillas de Vida (Seeds of Life), promotes healing the earth through sustainability and environmentally conscious living. The garden’s organic vegetable and flower beds, fruit trees, pollinator plants, and compost depend on the help of Center families, Sisters, and other volunteers, who share the harvest. 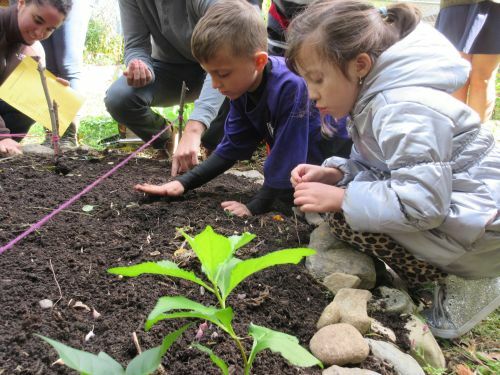 Children and adults are welcome to experience the joyful work of gardening. Come grow with us! Our lending library at the Center offers spiritual books covering prayer, aging, peace and justice, spirituality (including women’s spirituality), saints, and materials for liturgical seasons and feasts. The library is named after the co-foundress of the Assumption Sisters and is open Tuesdays and Fridays from 10:00 a.m.—12:00 p.m. Come browse! Working young adults who desire to live in the Assumption spirit of community, prayer and service for one year live at the Center. With AMAs, they form an intentional community. Cana helps in the mission of the Center through presence and care of the house, and witness to the joy of being disciples together. They meet regularly with the Assumption Sisters for meals, prayer, fun and fellowship. AMA is the lay volunteer program of the Assumption Sisters. 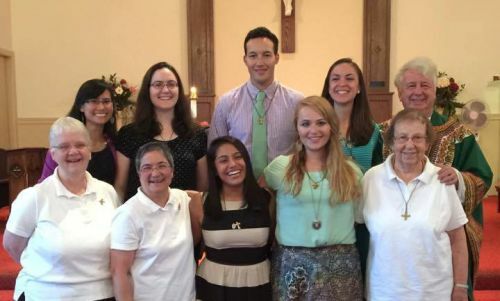 AMAs serve with the Sisters in placements in the USA, UK, and the Philippines. 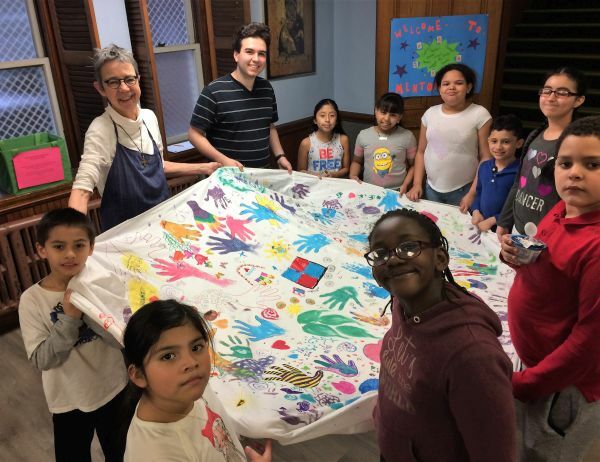 AMAs serving at Assumption Center help organize and run our programs and maintain the Center as a place of welcome and hospitality. They live at the Center as part of the Cana Community. The AMA Director, whose office is at the Center, supports AMAs in their year of service and formation. 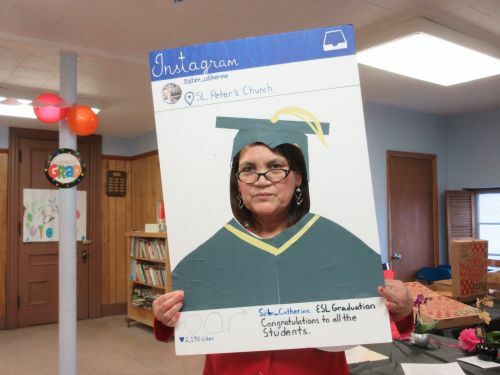 Celebrating 20 years of ministry in the Main South/Columbus Park neighborhood and 10 years of the Assumption Center! Interested in our programs and ministry?